Download for free from Amazon Kindle from today through 12/18/18. 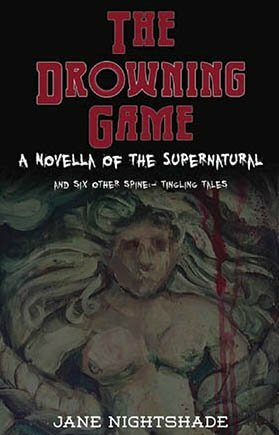 Don't forget that my five-day FREE promotion for my book, The Drowning Game, (click the link to go to Amazon) is currently running right now, through December 18. Consisting of one title novella and six inter-related short stories, it's a great creepy read of supernatural dread, set in the early 1970s when horror tales were done right! Several people have already downloaded it -- thank you! You can download it via your Kindle, computer, or phone (with proper app) FOR FREE until the end of next Tuesday. Please leave a review if you like it. I'd also love to have your comments here!